If you are interested in a used Chevy Silverado for sale, then chances are you aren’t looking for something fancy. No, what you want is something that’s capable, simple, strong, and reliable. Therefore, you are probably thinking of avoiding anything after the 2010 model year because of all the fancy gadgets that have been added. However, don’t rule out the 2013 Silverado. Why? Because although it has some upgraded amenities inside the cabin, it’s not too fancy. It can also come equipped with one of the legendary small block engines made by Chevy, and the frame is constructed from good old fashioned steel. So even if you don’t want something fancy, take a look at a used 2013 Chevy Silverado. Since Chevy first created their now-famous truck, two things have remained the same. The first is that they truly do still build the longest lasting pickups on the road. Second, they always use a high-strength steel frame, unlike companies like Ford that have switched over to aluminum, Chevy decided to continue using a steel frame in 2016. Why? Chief Engineer Eric Stanczak explained that to Howie Long in a video featured on the Chevy website. Using a steel frame ensures three things. First, it ensures long lasting and reliable dependability. By using a material on a similar frame that’s been around for years upon years, Chevy has been able to almost perfect the strength and design of it. Secondly, a high-strength steel frame is simple to work on, and people have been doing it for years. Which means whether you are going to try and fix it yourself, or have your mechanic take a look at it, they already know what they are up against. Aluminum frames like those featured on Fords are still relatively new in the automotive world. This often results in Ford owners bringing their trucks to Ford dealerships where they have been trained to work on aluminum frames, rather than relying on their favorite local garage — simply because those independent mechanics might not have the knowledge when it comes to those repairs. Finally, when you drive a Chevy, you’ll enjoy peace of mind knowing that your truck is riding on a frame that’s been tested and proven to withstand the harshest conditions time and time again. Sure, some automakers claim that their aluminum frames might be lighter and stronger than a steel frame, but where are the decades of testing backing that up? If simple and reliable is what you’re looking for, then pay attention to the type of frame you pick. Without a solid foundation, a truck can’t work properly, which means picking a truck that finds its strength in familiar steel is the way to go. 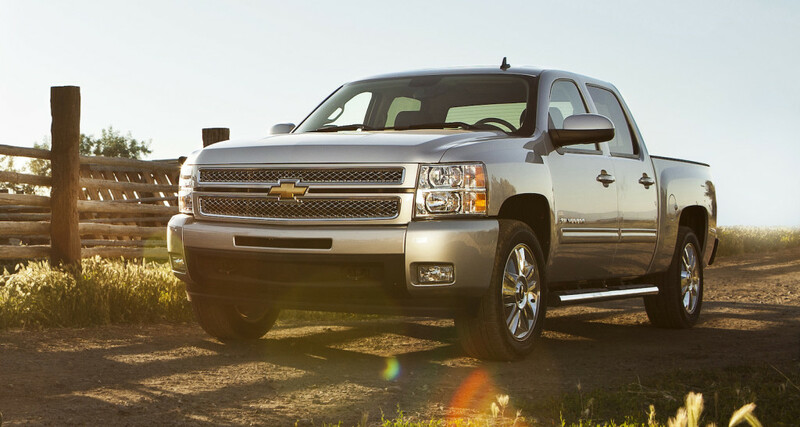 In the 2013 model year, Chevy offered four reliable engine choices on the Silverado; three of which included V8s. But, the standard engine was the 4.3-liter V6 engine. Admittedly, this engine has been around for a little while at this point and is arguably a little outdated in term of power and performance. But, that doesn’t make it any less reliable. Apart from its underwhelming 195 horsepower and 260 lb-ft of torque, it’s a solid engine choice, especially if you don’t feel like sacrificing fuel economy by installing a bulky V8 under the hood. Or, if you are in the opposite situation and want to break away from the V6, opt for an LS trim and grab the available 4.8-liter V8 that’s rated at 302 horsepower and 305 lb-ft of torque. That would be enough for most people, but if it isn’t then a 5.3-liter V8 is also offered that puts out 315 horsepower and 335 lb-ft of torque. The two V8s aforementioned can be found on the LT trim, depending upon the body style chosen, and the V6 comes standard on your average Silverado base trim. The real star of the show, however, is the 6.2-liter V8 engine option that’s available on select models. This engine is able to crank out 403 horsepower and 417 lb-ft of torque and let’s the Silverado accelerate from 0-60 mph in 6.6 seconds — which is very quick for a pickup truck this size. On top of that, it allows the Silverado to tow up to 10,700 pounds. But, fuel economy naturally declines, rated at 12 mpg city and 19 mpg highway. With the V6, however, fuel economy comes in at modest 15 mpg city and 22 mpg highway. So if you are looking for a work truck with decent fuel economy, buying a used 2013 Silverado would be the way to go. Or, if you need a lot of power for towing, find one with a 6.2-liter V8 under the hood. Regardless of which engine you choose, you are still getting one of Chevy’s legendary small block engines. Just like the frame, these engines have been through years of testing and refinement so you know you are getting something reliable. Finally, the interior might not be as fancy as some of the other trucks on the market, but that’s not the intention. Chevy knows that trucks are meant for work, so they left this truck bare bones on the inside, and instead focused on a cabin that was durable and work-worthy. It’s the type of interior you hose down to clean out the dirt and grime after a long day of work and not worry about it rotting out. 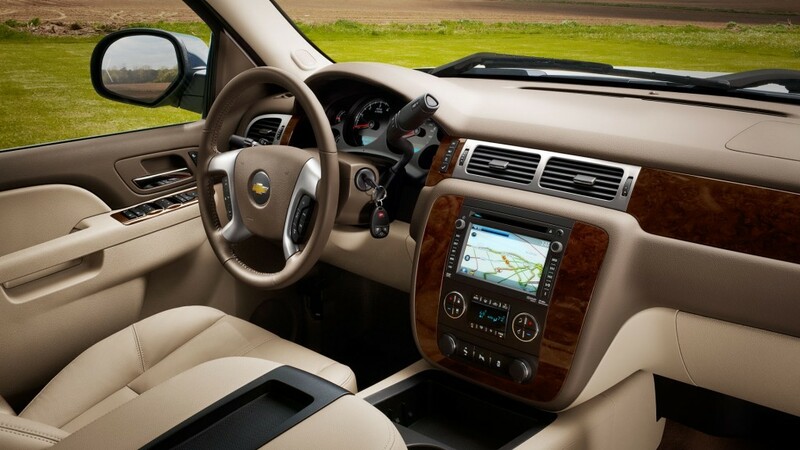 However, Chevy still recognized that consumers wouldn’t want to be driving or riding in a truck that had the comfort of sitting in a plywood box, so they made sure the seats were plenty comfortable enough. Also, the higher trim level you go, the more comfortable the truck gets. On the LTZ trim, for example, the Silverado is furnished with heated and ventilated bucket seats and an easy-to-use navigation system. Other than that, it doesn’t offer much in terms of luxury. But, that’s okay. After all, if you are looking for a used truck, chances are you value durability, reliability, and simplicity over how fancy a luxury-laden machine looks and feels. It might not have the most luxurious cabin, most fuel-efficient engines, or be as light as some of the other trucks circulating the market, but, a used 2013 Chevy Silverado has something that the competition doesn’t have: proof of dependability. From the frame to the cabin, Chevy made sure this truck was built it in a way that was familiar and reliable. No wonder the 2013 Silverado boasts the distinction of being part of a brand responsible for creating some of the longest lasting pickup trucks on the road. This is the perfect truck for those who live a simple lifestyle and work in a rugged environment.